This product works on short, medium or long naturally curly hair or hair which has been permed to be curly. It also works on wavy hair for children, men or women. You can combine it with other styling products in a style cocktail or it can be used alone. For best results use on damp but not dripping wet hair which will dilute the gel spray. 1. Spray evenly through damp hair. Hold 4-6 inches from hair for optimal coverage. 2. Part hair into 1-2 inch sections. 3. Spritz the roots of hair for added lift where curls tend to lie flat at the crown. Continue to mist evenly through roots and mid-shaft. 4. Blow dry with a round brush concentrating on the crown of head for maximum lift. Optionally you can blow dry with a long finger diffuser or allow hair to air dry. For a more defined look, wrap half inch sections of damp hair around finger to shape into ringlets. Hold for one second then release. Optionally you can pin them into place and allow them to air dry.5. For a refreshed lift throughout the day, mist through roots and diffuse with heat from blow dryer to reactivate. This will provide maximum definition and bounce. Will It Work For Every Curly Person? It’s a well-known fact that not every hair care product will work for every type, texture, length and condition of hair. For some naturally curly people the curls spray will provide absolutely no results. Since it’s designed to be a non-alcohol spray gel, it may or may not help knock back frizz. 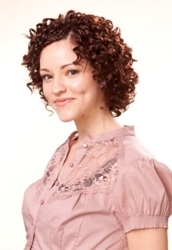 For some it can be a great curls spray gel for bouncy ringlets. Or it won’t work, which may result in a mess of frizz. One of the ingredients in the Suave Captivating Curls Spray Gel is castor oil. If you know whether your curls respond to castor oil or not then you can judge in advance whether or not to give it a try. 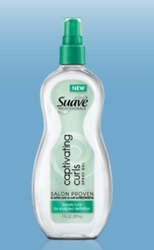 Suave also has similar curl care products such as a volumizing mousse that is silicone free. Depending on the types of curls you have it may or may not be a good alternative option. For some with natural curls the product helps to define curls without making tresses stiff, sticky or tacky. 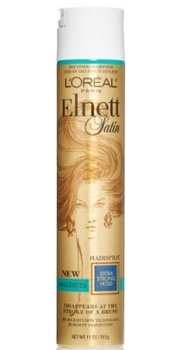 For a softer hold, air dry hair rather than heat dry. Some users of this spray claim it helps hair dry faster then normal. The spray hair gel has a pleasant light scent which is stronger on the hair while still wet, but dissipates when hair drys so that it does not clash with other fragrances. 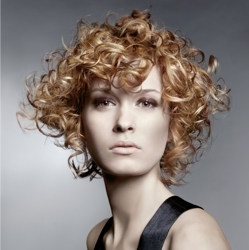 *Based on salon testing using Redken® Fresh Curls ™ Curl Boost. Redken® and Fresh Curls™ are registered trademarks of L’Oreal USA Creative. This entry was posted on Monday, March 7th, 2011 at 9:39 pm	and is filed under Curling Hair, Curly Hair Cutting, Curly Hair Men, Curly Hair Styles, Curly Haircuts, Make Curly Hair, Short Curly Hair, Wavy Hair. You can follow any responses to this entry through the RSS 2.0 feed. Both comments and pings are currently closed.